Peder Fredricson is among top show jumping talent joining GCL teams after the annual transfer window, as squads look to boost their chances of qualifying for the new GC Playoffs in Prague this December. 2018 has seen the most competitive season so far in the dynamic international team show jumping series and the temperature is rising as after the finals in Qatar only 16 out of the 19 teams can win a place in the GCL Super Cup at the Playoffs. Fredricson - the double Olympic silver medallist and recent LGCT Grand Prix of Cannes winner - has been signed up for the Prague Lions, currently 9th in the overall GCL ranking. In a powerful move, throwing down the gauntlet to their rivals, they have brought in the high profile Swedish star to join their line-up of Gerco Schroder, Ales Opatrny, Niels Bruynseels and U25 rider Anna Kellnerova. In another shake up the 10th placed team Paris Panthers have signed Brazilian talent Yuri Mansur to inject fresh energy to their line-up. The Panthers, one of the most formidable teams on paper, suffered a setback earlier in the year after star striker and former World Number 1 Kent Farrington was forced out of competition due to injury just before the season began. Utilising the transfer window period, they have recruited Mansur to step up alongside Darragh Kenny, Gregory Wathelet, Nayel Nassar and U25 Jennifer Gates - who are fresh from their recent win at GCL Cascais, Estoril. Scandinavian Vikings are bolstering their team with the addition of Mario Stevens as they look to better their 5th place in the rankings - aiming to finish the season in the top 4 to be fast-tracked directly into the semi finals stage of the GC Playoffs. Stevens will join compatriot Christian Ahlmann, Geir Gulliksen, Leopold van Asten and U25 rider Evelina Tovek. Chantilly Pegasus are teetering on the edge of the drop zone, currently 15th in the ranking, and have recruited Carlos Ramirez to boost their chances. He will join French anchor Roger-Yves Bost, Carlos Lopez, Sadri Fegaier and U25 rider Megane Moissonnier. 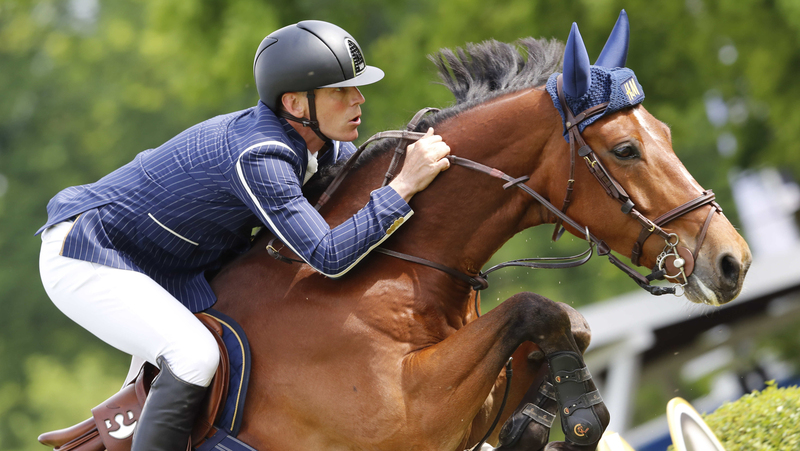 New York Empire, currently in 16th, Cannes Stars, Cascais Charms and Hamburg Giants are dangerously close to falling short of qualification and with each point counting, every fence matters as the Championship heads to its climax. The pressure is on the squads to strategically play to their strengths in the diverse arenas and unique scenarios across the remaining 8 events of the season. Heading into leg 9, GCL Monaco, all eyes will be on the teams to see who they will field in the most compact of playing fields, with the spotlight shining on those who can keep the lowest score across two days and gain the most number of points to shake up the overall order. Team tactics are being sharpened for the big push to the GC Playoffs where over €10 million will be up for grabs in the GCL Super Cup. But a majority of teams are sticking with their winning formula and leaving their rosters unchanged, such as overall series leaders London Knights and their closest rivals Valkenswaard United, Shanghai Swans and Miami Celtics. The innovative GCL Super Cup will consist of a quarter-final, a semi-final and final - all within the only indoor event on the calendar. The quarter-final, held over one 1.55m round, is open to 12 teams with three riders per team — those placed 5th to 16th on the GCL overall team standings prior to the GC Playoffs. The best eight placed teams according to the aggregate time and penalties for each of the three riders then qualify for the semi-final the following day where they will be joined by the top four teams on the GCL overall team rankings and each of the three team riders will jump one round over 1.60m. The best six placed team competitions then face-off in the final and most challenging course of the event– held over two different 1.60m courses in a supreme test of the world's best teams. For the full 2018 team line-up, including the new transfers, please click here. For more information about the GC Playoffs, please click here.